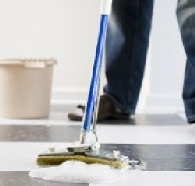 We offer a wide range of professional cleaning products and janitorial supplies which are suitable for the home, the work place or as janitorial supplies. 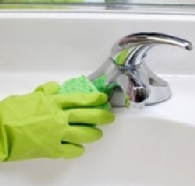 We provide washroom cleaners and deoderisers, hard surface cleaners, bleaches and disinfectants as well as glass and high strength industrial degreasers. Plus, our hand cleaners are perfect for removing ingrained workshop soilings such as oil, grease, tar, diesel and many oil based paints. 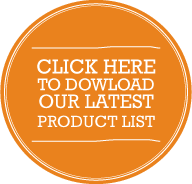 Save money and time - all of our cleaning products are available to buy in bulk. Antibacterial. Mild, long lasting foam, perfect for dishwashing by hand. Leaves all crockery and glassware sparkling clean and streak free. Lemon or Mint. 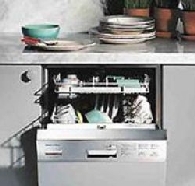 An advanced formulated machine dishwashing detergent with a unique blend of detergents for accelerated dirt and food removal. Excellent deodoriser designed to kill problem odours in toilet blocks, hospitals, etc. Eradicates offensive odours, leaves a fresh Eucalyptus atmosphere. 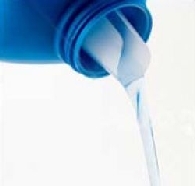 A concentrated laundry liquid that is tough on stains and dirt. 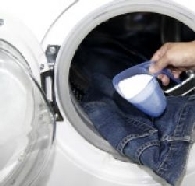 Our laundry liquid is gentle on your clothing so your colours last longer and your garments stay newer looking. 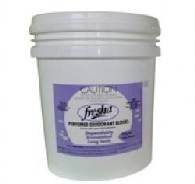 Fresh Linen: All concentrated laundry detergent powder in bulk for large laundry loads. Quality performance, yet low cost per use. High-efficiency formula effective in all water temperatures. An excellent stain lifter for a powerful clean you can see. Sanitiser and whitener. 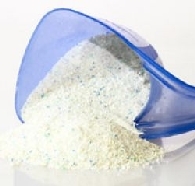 Concentrated laundry detergent powder in bulk for large laundry loads. Quality performance, yet low cost per use. High-efficiency formula effective in all water temperatures. An excellent stain lifter for a powerful clean. 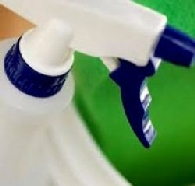 Kills dust mites, low foaming, sanitising. For whites and colours. 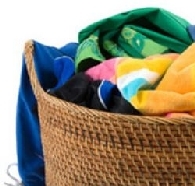 A bio-degradable pre-wash or in-wash to assist in the removal of all stains from washable fabrics. (Front Loader): The deep-cleaning formula helps remove tough stains and dirt from laundry while preventing colours from fading. 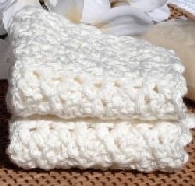 Whitens whites and brightens colours, and leaves your laundry feeling soft. Low foaming, and uses biodegradable resources. Versatile trigger action spray bottle, resistant to harsher chemicals and solvents which normally shorten the life of standard triggers significantly. The Centerpull towel dispenser is a large capacity dispenser designed to reduce maintenance costs and provide a hygienic hand drying environment. Large capacity ensures long intervals between refills. Touchless center-pull design helps prevent cross contamination. Ideal for foodservice, food processing, maintenance, general manufacturing and healthcare facilities. 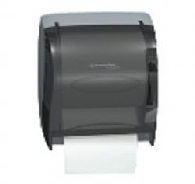 Universal, large capacity paper dispenser reduces maintenance costs with longer intervals between refills. Universal to work with all types of roll paper towels. Easy loading. 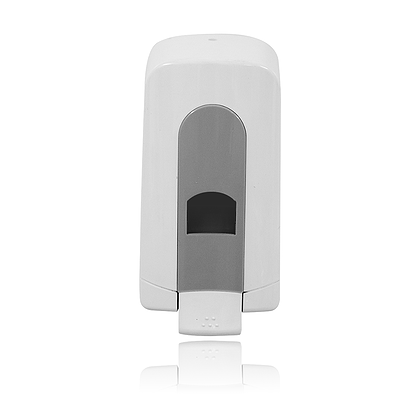 Wall mountable soap dispenser suitable for use in washrooms kitchen areas, workshops, etc. 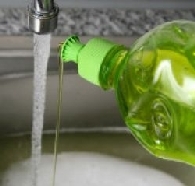 Refill soap available in 5-litre or 20 litre bottles. 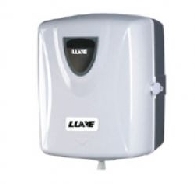 Liquid soap dispenser 800ml capacity. Easy push action. Soap level gauge. Dispensing Taps for canisters and bottles are perfectly suitable for the simple, clean and quick decanting of fluids. 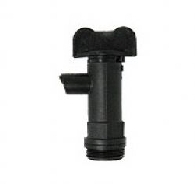 The narrow outlet spout supports clean and precise dosing especially in bottles with small threaded necks. Break up organic urine crystals rapidly to keep toilet and urinal drain lines running freely. They are perfumed to provide a pleasant fragrance in the washroom. This auto room freshener does away with odor problems and refreshes your room environment. 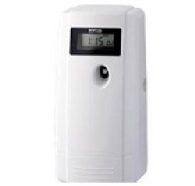 The battery operated digital air fresheners may be easily install at any area of the house or a business premises such as halls, bed rooms, bath rooms, kitchen, store rooms, conference rooms, cinema halls and so on. The hygiene level of a room simply increases ten folds as all the air borne bacteria are wiped out. This digital air freshener is made of ABS plastic body and processor chip technology with reliable LCD display for visual clarity. 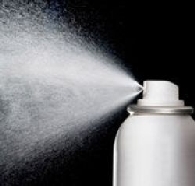 We also supplies aerosol dispenser refills of various fragrances. FREE: Room spray with 6000 shots included with purchase. Concentrate. All purpose cleaner in a ready-to-use liquid formula, cuts through tough grease and grime, dirt and smudges. Use this all purpose cleaner to clean most hard surfaces. Fresh scent leaves cleaned areas smelling great. Ideal for bathrooms and toilets. 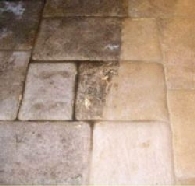 Liquid degreaser and heavy duty spray/wipe. Super strength formulation removes even the toughest grease and grime. Low foaming. A high quality air freshener aerosol which atomises instantly and completely Ozone friendly. Does not contain chlorofluorcarbons. Instantly dispels stale room odours. Pleasant long lasting formula. Scents: Lavender or Spice. Rich deep cleansing lather so easy to use and convenient. Keep it in the kitchen and bathroom, or anywhere your family needs the trusted protection. Lanolin or Lavender Coconut scent. 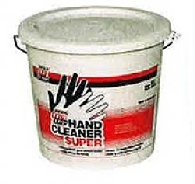 This abrasive hand cleaner cleans down to the pores and is highly effective at removing even the toughest soiling from paint, bitumen, soot, tar, printing ink and underseal. Scented with an orange fragrance, Tip Top Super Hand Cleaner is easy to rinse off and will not clog drains or outlets. 5 Ltrs, 20 Ltrs & 4x4 Ltr bladders Special: FREE wall mounted dispenser with 4x4 ltr bladders. An extremely pleasant to use, yet highly effective solvent-free hand cleaning cream which removes oil, grease and general dirt and grime, as well as inks, paints, resin and glue. Contains micro-polymer granules that clean deep down to remove stubborn soilings without damaging the skin. The rich, creamy lotion with added moisturiser, wheat-germ extracts and citrus oil leaves the skin smooth and fresh after use, with no greasy after feel. 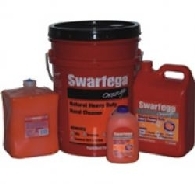 Heavy duty floor cleaner and degreaser - concentrate. All purpose cleaning concentrate, ideal for removing soil, grease and heel marks from all synthetic floors. Also excels on all non-porous surfaces. Controlled foam helps prevent over use. For cleaning floors in offices, schools, hospitals, canteens etc. Suitable for use on linoleum, PVC, rubber, sealed wood, sealed cork and thermoplastic floors. 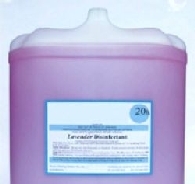 Concentrated, heavy duty performance hard surface cleaner/degreaser which emulsifies animal fats, grease, blood and protein with ease Contains effective detergents for soil penetration. 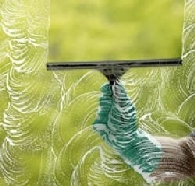 For all windows, mirrors, windscreens, VDUs, ceramic tiles, chrome, porcelain, showcases and exhibition stands. Advanced formula ensures a smear free finish. 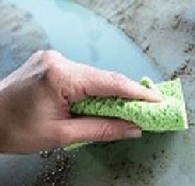 Free from abrasives will not damage delicate surfaces. Ammonia free pleasant and easy to use. Simply spray on and wipe off for a sparkling finish. Concentrated. Kills germs and eliminates odours. 6000 shots. Scents: Sandalwood or Cologne.